MADISON, Wis. (July 13, 2017) – Engineering and design work to expand and improve broadband to more than 2,200 locations in western Minnesota has started with construction expected to begin in the area in 2018. 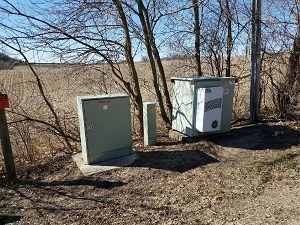 TDS Telecom (TDS®) began design work earlier this year in the Mid-State Telephone service area that includes part of Kandiyohi County as well as portions of Pope, Swift, Stearns and Chippewa counties. Current plans are for customers to see upgrades in their network services by year-end 2018. Construction work will be dependent on when the ground freezes. The Federal Communications Commission (FCC) allocated $5.1 million each year to reach residents in some of the hardest to serve areas in Minnesota. The funding will also be used to maintain a voice and broadband network as well as building out to these locations. The FCC’s Alternative Connect America Cost Model (A-CAM) will provide funding to more than 2,200 locations in central Minnesota. With its network upgrades, TDS expects to provide improved service to hundreds of additional customers in nearby locations not eligible for A-CAM. Minnesota residents can visit the TDS website to find out how this federal program may impact their location. “We are excited to start work on this project to provide faster connections to customers in Kandiyohi and neighboring counties,” said Jean Pauk, manager – State Government Affairs at TDS.